The Musee du Petit Palais once the home to cardinals and bishops in Avignon, Provence in France, Europe. 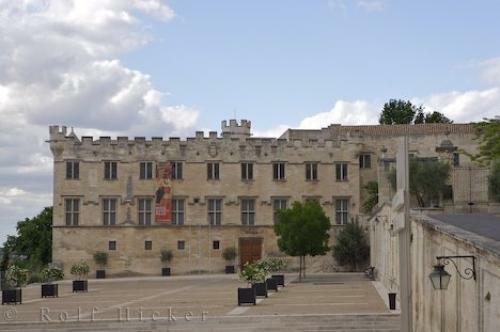 Photo of the Musee du Petit Palais in Avignon, Vaucluse in Provence, France. ... Italian Renaissance works from artists such as Giovanni di Paolo, Carpaccio, Sano di Pietro and Giovanni Bellini.One of the most breathtaking works that should not be missed is 'Virgin and Child', an early Botticelli creation. The Musee du Petit Palais, Provence in France should definitely be on 'places to see' list when visiting the city of Avignon.Musee du Petit Palais, Avignon, Vaucluse, Provence, France, Europe. I photographed this photo with the digital SLR camera model Canon EOS-1Ds Mark II, aperture of f/7.1, exposure time of 1/100 sec. on ISO 100, as always I used a original Canon Lens, the focus lenght for this picture was 70mm.